2017 Nissan Murano for sale serving Burlington, Cherry Hill, Moorestown, Turnersville, Maple Shade, NJ 5N1AZ2MH3HN154718 - Woodbury Nissan. CARFAX One-Owner. Clean CARFAX. 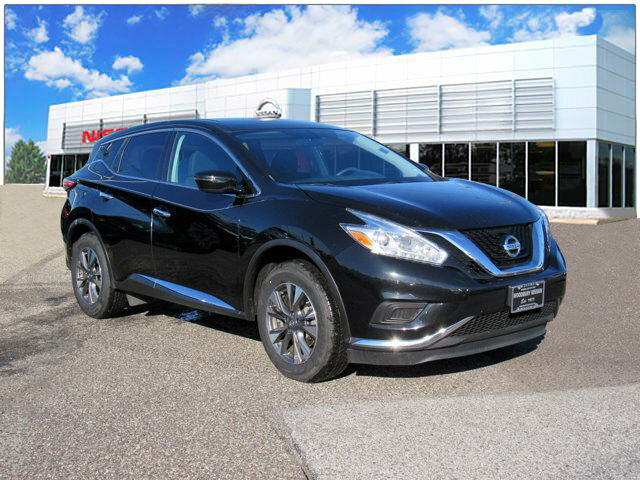 magnetic black metallic 2017 Nissan Murano S AWD CVT with Xtronic 3.5L V6 CVT with Xtronic, AWD. Price(s) include(s) all costs to be paid by a consumer, except for licensing costs, registration fees, and taxes. Recent Arrival! 21/28 City/Highway MPG Only Nissans that meet Woodbury Nissan's highest standards qualify for the certified pre-owned status. This vehicle has a clean, non-branded title, and most important, passed a 167-point quality assurance inspection. Benefits of buying a certified pre-owned Nissan include an 84-month/100,000-mile limited warranty, vehicle title history report, vehicle title insurance policy, 24-hour roadside assistance, trip-interruption coverage, 167-point inspection, Genuine Nissan parts, factory-trained technicians, plus an optional Security Plus Pre-Owned WRAP Service Contract. Woodbury Nissan does offer various Nissan certification options at different prices based on the coverage requested by the customer. Please contact Ryan Sauers at Woodbury Nissan (856-853-0005) or Alicia Sparks at Mount Holly Nissan (609-267-2886) for more information.